Wine symbolizes celebration and festivals among many Keralites. Christmas, Easter and many Catholic Weddings are incomplete without sweet tasting wines. Back Home in Kerala, Wine is usually made using Grapes, Ginger, Pineapple, Chambanga (Rose Apple) and so on. That wine is very sweet unlike the wine which we get in US and most of the other countries. It is not as strong as the Commercial Wines and has a sweet taste similar to grape juice or Dessert Wine. Home Made Wine used to be my favorite drink during Christmas and Easter. Traditionally, in Kerala, wine is made in a Ceramic Jar called Bharani. Since I didn’t have a Ceramic Jar, I bought a brand new Glass Jar for making Wine. I selected pinkish red color grapes for this wine. You can use any variety of sweet grapes for making wine but red grapes would give a nice color to the wine. I also don’t suggest using Steel, Aluminum or Plastic for making Wine. I try to be on the safe side and use Ceramic or Glass Jars. Add boiled and cooled water to the jar. Mix everything well. Keep the jar closed and airtight for anywhere between 10-21 days. After 21 days or whenever the wine is ready (refer Notes), strain the grape pulp mixture into another vessel using a muslin cloth or a clean unbleached cotton cloth. You can drink it as it is or proceed to the next step. Add the remaining 2 lb of sugar and mix well. The Wine will be hazy at this stage. Store the wine in clean, dry glass bottles in the refrigerator. While serving, pour it carefully without disturbing the sediments. The longer the wine is stored, the better the taste. I had to keep the wine for 21+21 = 42 days before using it, since it was pretty cold over here in December. But if you live in a moderately hot place like Kerala, wine will ferment quickly and it will be ready in anywhere between 10-14 days. I made Rose Apple Wine and it was ready in 10 days. It started going sour after 14 days because of the hot weather. So, please keep checking the wine daily to know if it’s ready to be strained. Once the wine is fermented, there will be no air bubbles on the top. This indicates that the wine is ready to be strained. You may skip the spices like Cinnamon and Cloves. You can increase or decrease the amount of sugar used to suit your taste buds. To prevent the wine from turning sour (due to further fermentation), add 1/4 to 1/2 cup of Brandy to the wine before bottling it. This will ensure that the wine stays fresh for many years. Homemade Wine has alcohol in it though I am not sure about the percentage. Drink a full glass and you can feel the effects! I was in search of making grape wine.I could find out all about the preparations about the wine making.so thank full to your site. 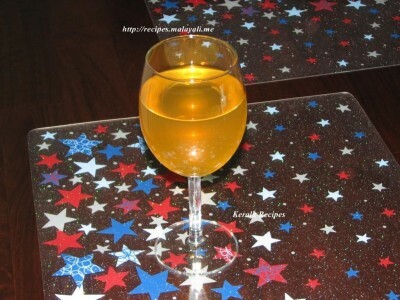 Good,I’d like to share with you The Experiments With Wine Recipe,and Wine Making Tips. Wow, good recipe and well illustrated. shall def. try it out sometime soon. but i loved the puttu recipe most of all. Thank you for the appreciation Carol. This wine sounds really good. How much wine does it make? If I wanted to bottle it and give it to friends, how would I do the caramelized sugar in the bottles? I am new at this so I may have more questions. I have used 4.5 liters of water for making wine with 2 lbs of grapes. So finally, there would be around 4.5 liters of wine. You can add the caramelized sugar to the wine in the glass/ceramic jar, a few days before straining it from the glass jar. The wine will be colored in a few days. You can bottle the wine after that. I made it, very tasty . I have a habit of searchingfor good recipes. My mom used to make wine but it’s not golden brown color (because we didn’t caramelize the wine). It is a great idea, surely i’ll tell mom. one more thing – your presentation is too good. Because i am lazy girl, it has tempted me to give response. keep it up and God Bless You. I will surely remember You during Christmas eve. Take care n all the best. Its very interesting to know abt the home made wine making in easy steps. I have a great passion in wine making. I will try your method of preparation. I wish to know whether we can use only white sugar or we can substitute with sugarcane sugar which is brown in color or country sugar which is made from sugarcane. Wish to get more recipes of making different varieties of home made wine. I guess you can substitute white sugar with sugarcane sugar though I haven’t tried it myself. It shouldn’t make a major difference to the taste of the wine. Pls try and let me know. Thanks for sharing this wine making recipe, I did add dried ginger to the wine. Taste excellent. Thank you. Happy to hear that you like the wine. Thanks for the tip. I will defnitely add dried ginger next time. 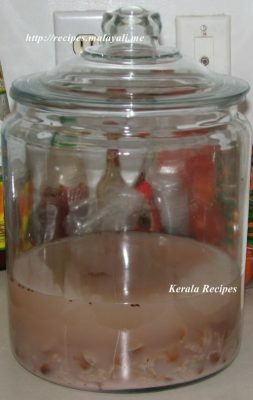 does anyone know the recipe for banana wine…my aunt made it a few years back from a recipe in vanitha (magazine) she didn’t bother saving the recipe and I’ve been looking for it everywhere!….it was really simple and quick! and tasted like vodka! please help! It’s superb…can you give me dates wine recipe…. I haven’t prepared Dates Wine but I will try to get a recipe and will post it if I get it. Sorry for the late reply. I haven’t encountered this problem but I just did a google search & looks like it is caused by spoilage yeasts. You need to filter the wine and transfer it a clean container before it spoils the wine. 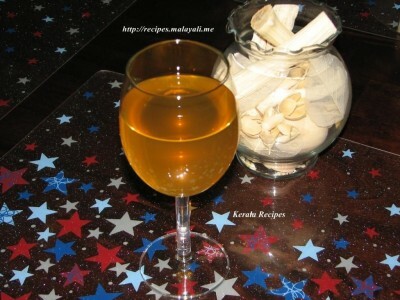 Thanks for this wonderful recipe to make Grape wine at Home. I made the wine and now it is ready to be bottled. 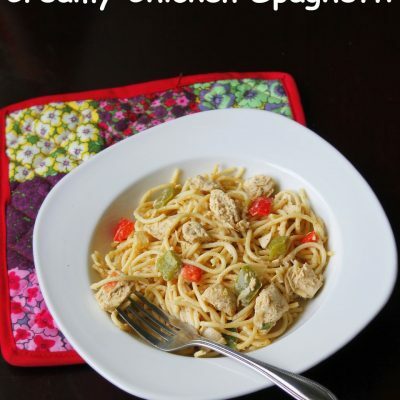 It is a very nice, easy and useful recipe (no complications). Happy Xmas 2011! I would have read through this recipe over and over again to make sure that I get a wonderful end product. Thanks once again. My family ( Husband Eric, Sons – Eril and Stefan) too got involved in making this wine. It is a family effort. Wishing you all a Blessed Christmas.. Thanks for the effort.. Will try it soon. I want to try making wine at home for the coming Easter. Could you please tell me where you brought the glass jar from and how much did it cost? I bought the jar from Target and it was around $20 or $25, 3 years ago. I found this recipe while looking for a simple, promising recipe for making wine at home. I remember Liz aunty used to make wine at home and I was looking for something that might make something similar. I live in India, and you said that the grapes would ferment earlier than the 42 days it took you. Can you please tell me what indications I should look for, so that I know that the grape pulp mixture is ready to be strained, and also to indicate when the wine is ready? Thanks so much! When the fermentation process takes place, you will notice air bubbles/foam on the top layer. Once the fermentation is over, there will be no air bubbles. This means that the wine is ready to be strained. Pls tell me what is the taste of the wine after 10 days of putting down ?? The wine will not be ready in 10 days. It will taste like crushed grape juice. I had prepared one batch exactly as per your recipe and it turn out to be excellent, now I am preparing again, but as you know in India the temperature is very high in the month of April and it has reached 42 degree now. So for How many days shall I keep now? will be ready in 12 days to drain or please advice. It should be ready in 21-25 days. Strain the wine and allow it to settle for a few days so that the wine becomes clear. Once you have bottles the wine, you can keep it for as long as you want. The older the wine the better the taste. I live in Kerala. I had made the wine quite similar to ur recipe. I used green grapes. But this time, the grapes did not disintegrate… it remained firm, I did not crush the grapes before putting in the jar. could it be because of that? Please crush the grapes thoroughly in order to extract the juice. Hope this helps. Caramelize the sugar very carefully. Don’t add cold water to the boiling sugar. Could you please send me recipes for banana wine and mango wine? When should we add caramelized sugar on 17th day or 37th day? Pls confirm , am making wine as mentioned above. Add the caramelized sugar before you strain it for the second time. If you are straining it on Day 42, add it around Day 37-40. Hope this helps. This is my first time making wine. I love how simple your recipe is. I only have one question do you stir it the first 21 days or the last 21 days? You need to stir it for the first 21 days. No need of sugar for coloring, if you have the perfect grapes. Looks great. We use a similar recipe at home. I kept the mix in ceramic jar for 21 days (1 kg grapes, 1 kg sugar, yeast,3 cloves,cinnamon 1 inch stick and one ltr water). Air bubbles are not there but it looks very thick. Shall i add some more water? One litre water is not enough for 1 kg grapes. You need atleast 4 litres of water. Did you use fresh yeast. Did you proof the yeast in luke warm water before adding it to the grapes. If so, fermentation should take place. I make wine with a little change. After cleaning the grapes, I boiled it for five minutes and after it become cold I added yeast and sugar. That wine shows very good colour. what is your comment on boiling the grape. pl advise. I haven’t tried boiling grapes. Thanks for the suggestion. Seems like a good idea. I used steel spatula to crush the grapes. Is it okay? I noticed wooden spatula or hand to crush after i finished the process). Since the black grapes was sweet and juicy I have added 1 ltr water for 1.5 kg of grapes and 500 gms of sugar. I don’t think there is any problem with steel spatula. Did the wine come out well? I want to try it.But I don’t need 4.5 L. What will be the ingredients needed for just 1 lit wine ? With 1 kg grapes, you can make around 4.5 litres of wine. Try using 200-250 grams of grapes for 1 litre of wine. Please adjust the sugar accordingly. I think 1 tsp yeast will be enough for 1 litre. I am making wine with ur recipe, seems awesome so far. I m from Jamnagar, India. The weather is humid and hot as it is month of March. I kept it for fermentation 7 days back, it does not produce much air bubbles since yesterday, the crushed grapes have settled down.. but when I open the jar for stirring it , air bubbles start popping up like soda. So please guide wat would be the best sign that the fermentation process is completed. I read the earlier comment by Mr. Dinesh Patel, understood that it will be ready in 21-25 day here. But than too I would like to know what would be the best sign that indicates that the fermentation process is completed. I m making 2 litres of wine with 500 gms of grapes, have added 500 gms of sugar, 1 tspn active yeast and 1 cinnamon stick. Will add the remaining 500gms of sugar after straining it. The recipe seems really elegant yet simple. Thanks a ton for sharing. I want to try it but i don’t need yeast, instead of yeast what can i use? I haven’t made this wine without Yeast. I am not really sure if you substitute yeast. Hi, I’m a first time winemaker…… I’m on the 12 th day of the first part I tasted my wine and it tastes sour could u please suggest, whether it’s gone bad or maybe I could rectify it somehow. Thank u …. Would really appreciate ur help. It may be due to the hot weather. Strain it and add more sugar. Can you share me the recipe for apple wine? My husband wants me to make that for him. I hope you can help me with that. I have never made Apple Wine. I will see if I can get the recipe from someone. can i use cooker instead of Bharani/Ceramic & glass jar so we can avoid the cotton cloths to cover the jar. Thanks for giving a wonderful recipe. It is very interesting . Pls continue ….. Thanks for your recipe. Christmas is near, i would like to use 4kg of grapes. Could you pls suggest me the required quantity of yeast in this case. Is it 8 tsps for 4kg?. What about Cinnamon Stick & Cloves, also 4times?. if the fermentation stops on 15th day, can i strain it on the 15th day?. Please use the same quantity of yeast. It is just a starter for fermentation. Do not double anything! 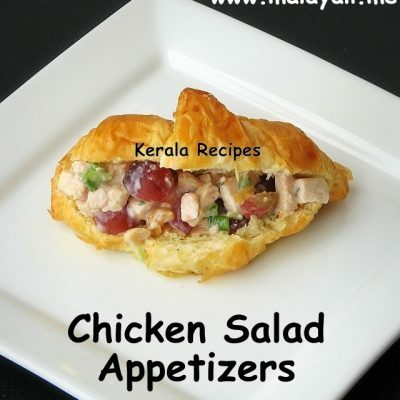 Thanks for giving the detailed information about Kerala home made wine. My mother gave me the same recipe. Now my daughter is also following. This year also I made wine with same recipe. I have mixed egg & wheat too. Best wishes for THE CHRISTMAS & NEW YEAR 2014. Hi Jisha,I am interested in making home made grape wine, what quality of grapes do I use? and how do I get that cherry red color, some suggested beetroot juice but still in doubt. Please help me out, can I store this home made wine for long does it improve quality ,taste and any feature. Hi Jisha. Thanks for the wine recipe. Will surely try in out. Keep up the Gud work. THANK YOU …VERY SIMPLE AND THE BEST….THANK YOU ONCE AGAIN.. I had followed ur recipe. However, I have a doubt. Do I stir the next day after storing the mix or do I stir after 21days everday. When do I start stiring it. Can wine be made in plastic containers ? I tried your rceipe in last xmas.Let me say,it was the best wine i ever made.thank you once again..God bless you.. 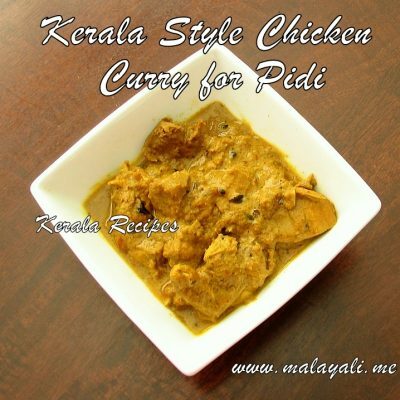 The recipe is very useful and handy. I already mixed the ingredients in a porcelain jar. Last time when I made it, the colour wasn’t proper. The wine looked more like grape juice. Hope your colouring techniques will help me this time. Thanks again. I’m making wine for the first time and it’s ur recipe I’m gonna use.Thanks for the recipe. Shall post the review in a few days.. Thank you so much for sharing the recipe ! I got some organic grapes and I right away mixed all ingredients for the wine as per the recipe. Can you use grapes with the seeds still in them, if not how do you de seed a grape? Seeds are ok as the sediments are going to be filtered out. Nice recipe, it was awesome. I tried it for my son’s communion. all liked it very much. Yeah I forgot to mention one more thing, I am from Kerala and the temperature is quite high these days. Could that be the reason? If so should I wait the total 21 days as the original recipe demands or should I strain it. Strain it after 10-14 days. Thanks a bunch for this wonderful recipe. Do you think plastic jars can be used instead of ceramic/ glass jars? Alcohol is added to wine to prevent further fermentation. I have seen my father-in-law adding Brandy to wine so that the wine doesn’t turn sour in the long run. Does the home made wine have alcohol content in it or it is free of alcohol. Naturally when fermenting the alcohol is produced in the wine or we add it separately to it.I got this question because when I buy wine in shop they have around 13% of alcohol in it. Hi! Thank you so much for the recipe. I’m from kerala and it’s a warm summer time here. Today is the 22nd day of my wine making and I’m pretty pleased with the results so far. Thanks to your detailed guidance, it’s going well so far. I had one doubt. What do I do with the sediment I got in the muslin cloth after straining it the first time. Someone told me that the sediments can be reused during the next wine making session. Is it true? Hi..this seems to be the perfect recipie to make grape wine. Loved it. Goanna try it for this Christmas. I would like to make a wine with red in color and with no sour taste. ( want it to be sweet ). Hence, I have a couple of question. (2) Read in the comments sections, adding Brandy can help reduce the wine doesnt turn sour in the long run. If I need to do so when should I add Brandy to wine and can you suggest the quantity of brandy to be added. We have the same container as shown in the picture (Grape Wine Getting Fermented). Will this container break when its starts fermenting.? Please suggest. my question is… is it possible to add more boiled cool water during fermentation process or after straining? Will it damage wine if I pour water in between or after? 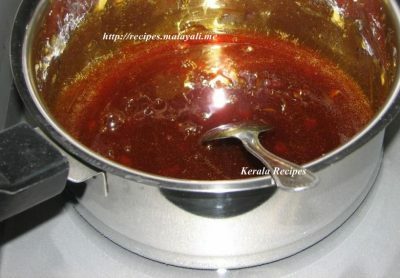 I am from Kerala, thanks for your fantastic home made grape wine recipe. i have already completed almost the steps. now my wine secondary fermentation is going on, passed its successful 9 days. My next step is to sugar caremelizing. I will let you know once it is completed. and to know more advice from you. 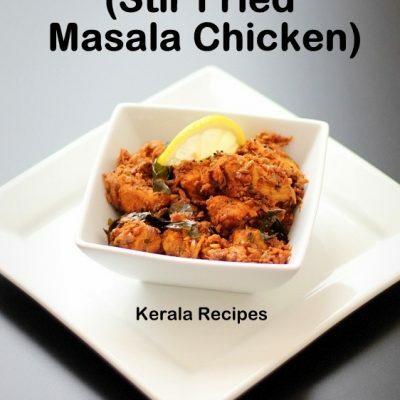 Nice recipe, looks great let’s see how can I make it. Pl make clear in first 21 days You have suggested to keeo airtight and to stir daily. ..Do u mean keep airtight n open just to stir…? Yes, open only for stirring. Let me know if a big plastic jar is enough for this wine recipe. ? If I forget to add cinnamon and cloves while preparing the wine then can I add it later? ??? Thank you so much for sharing this wine recipe. We made it, and everyone enjoyed it. It is really good one! 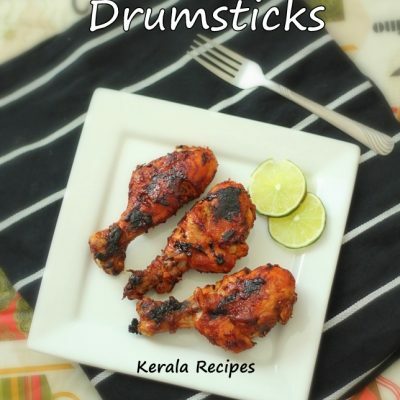 I have shared your recipe/site with my friends/family…Let all enjoy !